With the delivery of its 200th. Bell 429 helicopter to Brazil it is time to analyse the first 200 units of the Bell 429 production. Divided by role, most 429’s are being used for transportation of VIP passengers, 28 units are used by LAW enforcement agencies, and 17 units are used by EMS Operators. 12 units are not yet delivered. 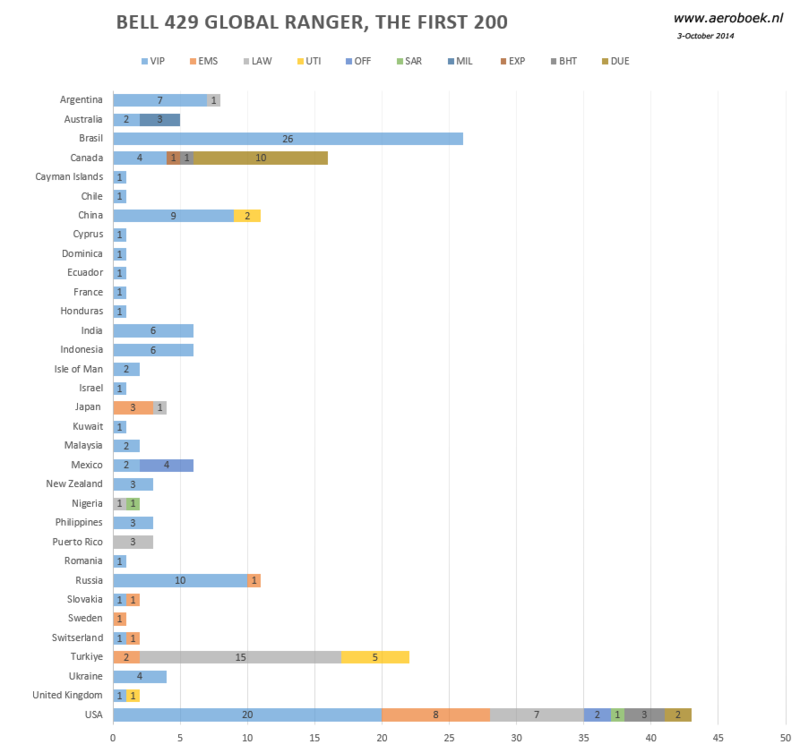 Sofar the Bell 429 has been delivered to or registered in 33 different countries. 41 units have been delivered to the USA operating in various roles. 26 units have been delivered to Brazil, all in the VIP role. 22 units to Turkiye in EMS, LAW & Utility role.